The Sour Taste Of Failure « I'd rather be in France. Last night, I declared an end to my infant baking career. I probably didn’t mean it, but the frustration and failure behind the proclamation was utterly deflating. Let us rewind 24 hours. Last weekend, Steve and I made a trip to a nearby farmer’s market and came home with eggs, carrots, strawberries, blood oranges, and homemade jam. 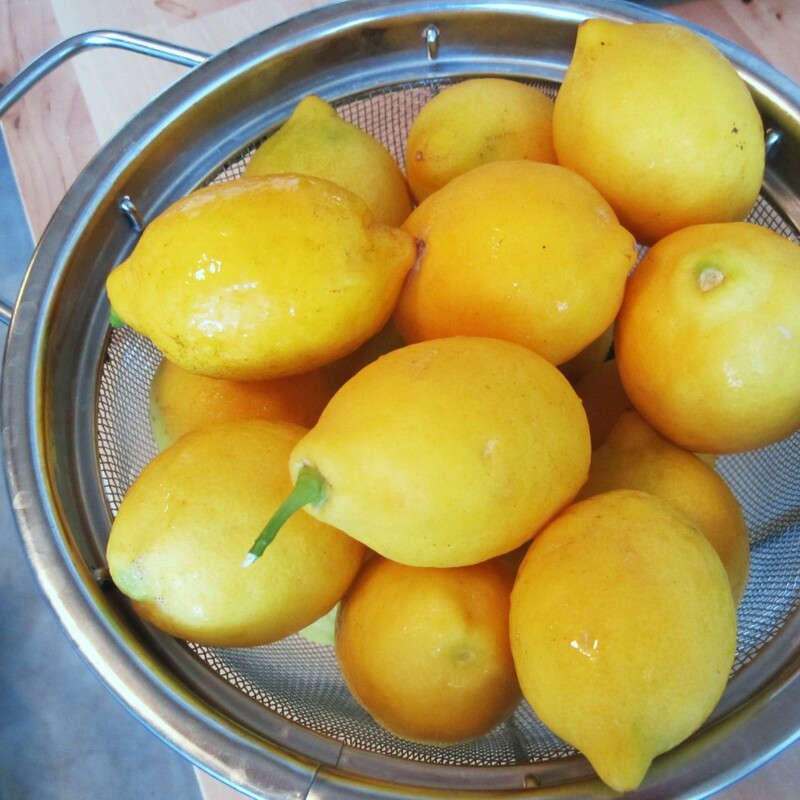 I also picked up four pounds of Meyer lemons to make a cake I saw in a recent issue of Martha Stewart Living… or at least I thought it was MSL. I couldn’t remember exactly where I saw the recipe and was unable to locate it in any of the recent issues. Even the search results for googling “Meyer lemon cake” was a little underwhelming. 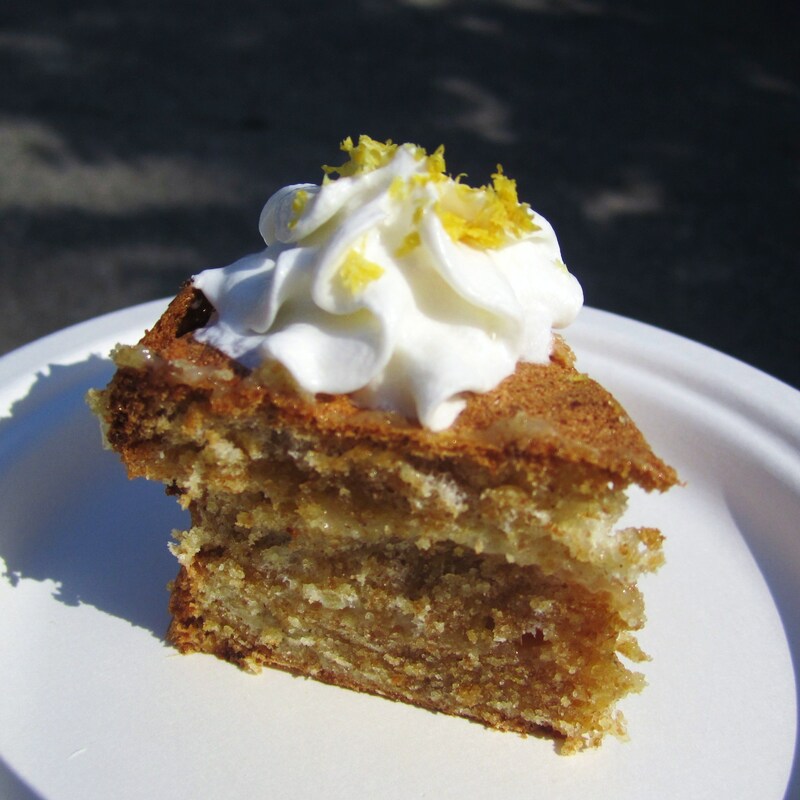 I eventually settled on a lemon cake with lemon curd filling and honey lavender whipped cream from epicurious.com. The plan was to make the cake yesterday morning to take to a pool party in the afternoon. My Memorial Day weekend plans had been thrown off by a last minute scheduling of the dinner shift yesterday evening. I had been planning on going to the pool party hosted by some church friends and then another party hosted by a co-worker at the office. Even with the unexpected work shift, it was possible for me to spend a couple of hours by the pool, go to work, and then end the evening eating ribs at my co-workers house. I ran into the first snafu early in the baking process when I realized I only have whole wheat cake flour. Although I love the idea of using whole wheat, the fact remains that it is overwhelmingly “wheaty” in flavor and gritty in texture. As one of the chefs reiterated during dinner last night, whole wheat flour just doesn’t have a place in baking desserts. Sorry, whole wheat flour lovers out there. I should have paused for a moment and run to the store for proper flour, but I was a woman on a mission — and a tight schedule — and I went ahead with what I had. Everything after that went really well: squeezing and zesting my four pounds of lemons, separating the eggs and folding in the beaten egg whites, making the lemon curd. By the time the first two components of the recipe were completed, I was feeling pretty good. And I was only running a half hour behind schedule. Bring cream, honey, and lavender blossoms just to a boil in a small saucepan, then remove from heat and let steep, covered, 30 minutes. 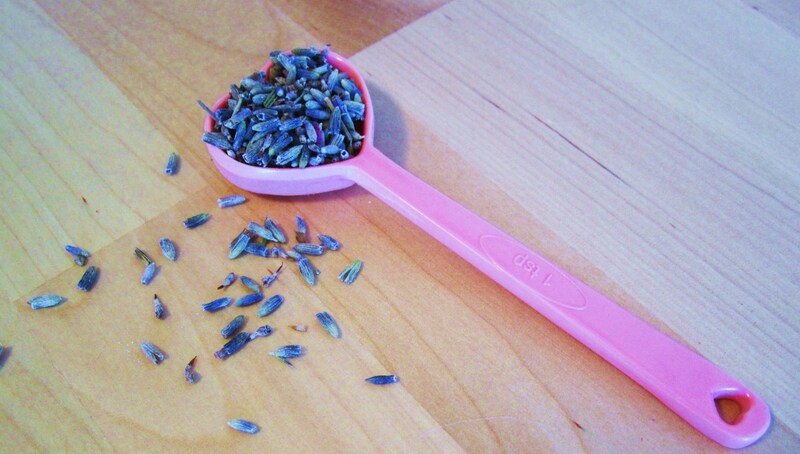 Strain through a fine-mesh sieve into a bowl, discarding solids, and chill lavender cream, covered, until cold. If you are a seasoned chef, you might already spot the error in these instructions. While my lavender cream was steeping, I jumped in the shower and got dressed for my full day of events. When I was ready to go, I cut the cake into three layers, filled them with the lemon curd, and then took my strained and thoroughly chilled cream from the fridge for whipping. Not wanting to get my huge 6-quart mixer bowl dirty, I left the cream in its small (and cold) stainless steel bowl and put the whisk attachment on my hand held mixer. Ten minutes later, my cream was only slightly thicker than before and far from whipped. Perhaps the bowl was too small, I thought, and I got out another bowl and divided the cream in half. Ten minutes later, the only change in the cream were the splatters all over the stove, wall and my dress. By this point I was slightly annoyed. The only thing that was going to save my potentially grainy whole wheat cake was this delicious whipped cream. I needed it! Maybe I just needed to use one large bowl, I thought, as I pulled another stainless steel bowl from the cabinet. Ten minutes later, no change. This was ridiculous! Perhaps my little handheld mixer wasn’t enough for whipped cream (even though it whipped the egg whites perfectly two hours earlier). I turned to the stand mixer. Ten minutes of high-speed mixing later, the cream was still runny and a little waxy. I was bewildered. As a last ditch effort, I poured out two thirds of the lavender cream and added the leftover half of a cup of plain cream from the fridge. Ten minutes later, nothing. Failure. I was afraid to look at the clock, but I knew I was running late. 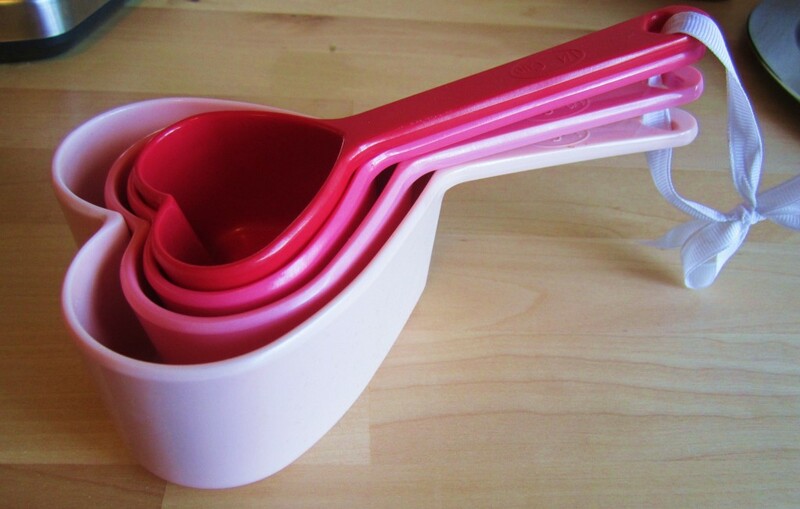 I yelled obscenities at the mixer, dumped the runny cream into the sink with disgust and stacked up the dirty bowls. Then I stood in the middle of the kitchen and looked up at the ceiling, waiting for the tears to come. Alas, I was too frustrated to cry. I gathered my things — and the whipped cream-less cake — and jumped in the car. It was 3:45pm. The pool party was 20 minutes out of town and I had to be at work at 5pm. And I had to stop at the grocery store to pick up a can of gross spray whipped cream because I knew the whole wheat cake needed the added lubrication. In case you don’t want to do the math, that left me exactly 20 minutes to spend at the party. If I wasn’t so stubborn I would have just stayed home at this point and use the hour to calm down and mentally prepare myself for work. But, I am, so I didn’t. The tears of failure of frustration finally came as I exited the store with a can of Reddi Whip. At work that night, I told one of the chefs about my unwhippable cream and asked for an explanation. He immediately recognized that my error was in boiling the cream. Once you heat cream, it changes the proteins and makes it unwhippable. Looking back at the recipe, I am perplexed because some of the comments express a positive outcome for the cream. I am wondering if they didn’t heat their cream as hot, although I brought mine barely to a boil. After doing some internet research on the matter, I am also wondering if my problem was a result of using ultra-pasteurized cream. 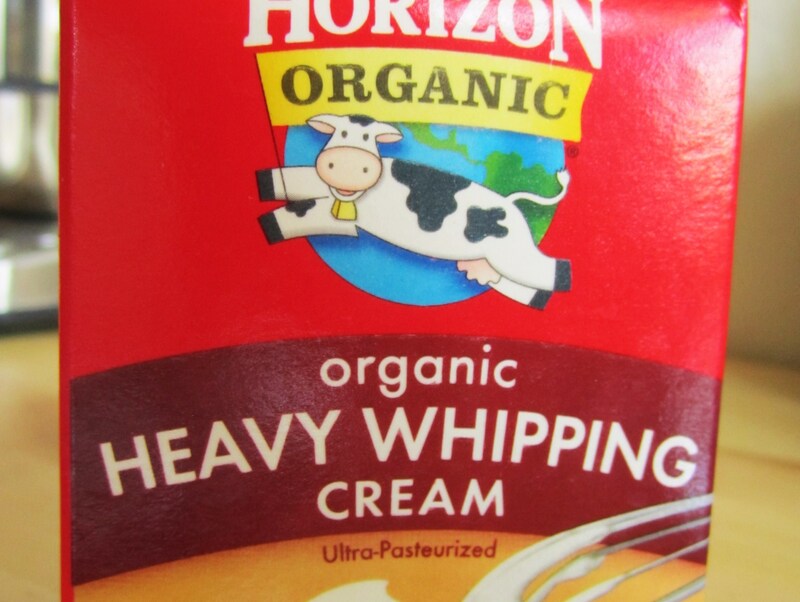 I read several accounts of people having trouble whipping cream that has been ultra-pasteurized (which means it was heated to a higher temperature for longer shelf life). For next time, and for any of you who want to try your own hand at lavender whipped cream, the chef told me I don’t need to heat the cream to infuse it. I can just add the lavender to the cold cream and stick it back in the fridge over night. The cake went over well enough, I suppose. It was a crowd that seemed to appreciate the earthiness of the whole wheat. Now it is time to wash the pile of dirty bowls and put this experience behind me. I can’t end my baking career on a failure. This entry was posted on May 28th, 2012 at 3:54 pm and is filed under La Cuisine. You can follow any responses to this entry through the RSS 2.0 feed. You can leave a response, or trackback from your own site. « Happy Belated Anniversary, Readers!